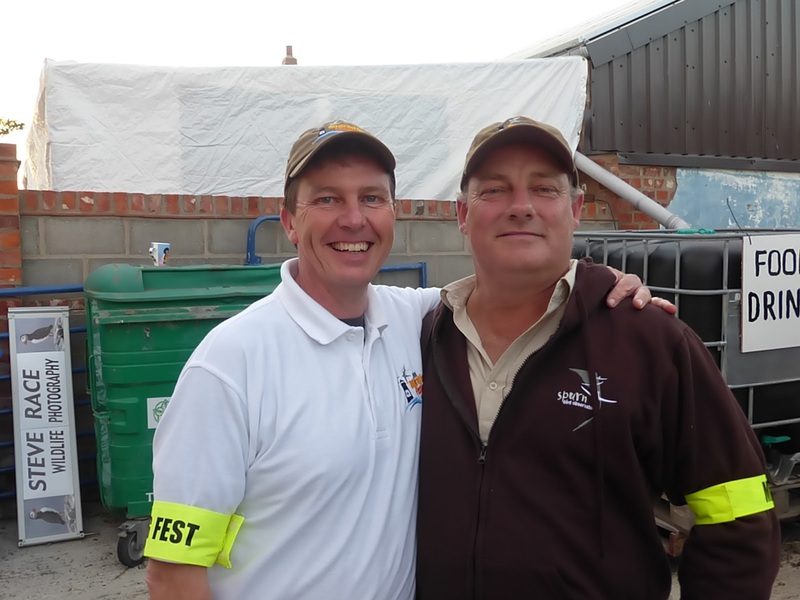 On behalf of Birding Frontiers, Spurn Bird Observatory Trust, Westmere Farm and Yorkshire Wildlife Trust we would first like to thank all those who took part in the first Spurn Migration Festival. You helped make it a very special occasion. You were pioneers with us. 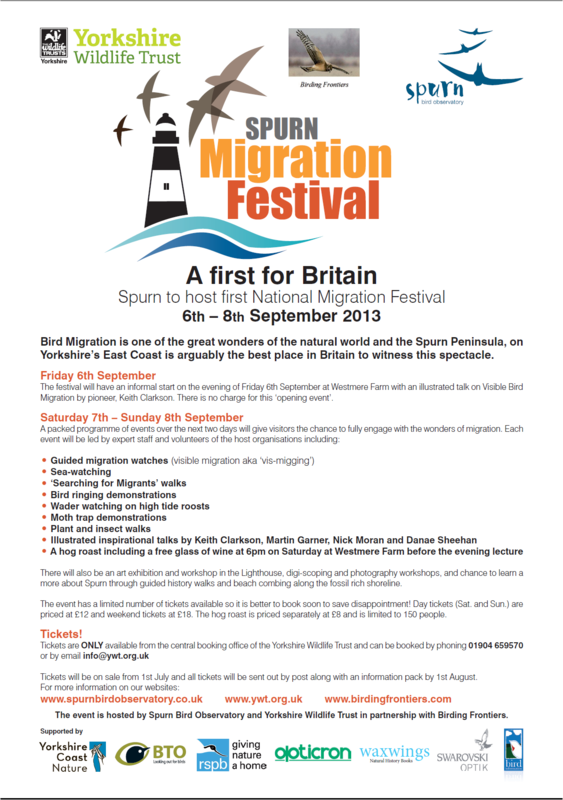 For planning ahead, diaries and booking accommodation we are very pleased to announce that Spurn Migration Festival Number Two is planned for Friday 5th– Sunday 7th September 2014. Tickets are likely to go on sale around Tuesday 1st April 2014. The first Migration Festival received reviews and accolades well beyond our expectations. 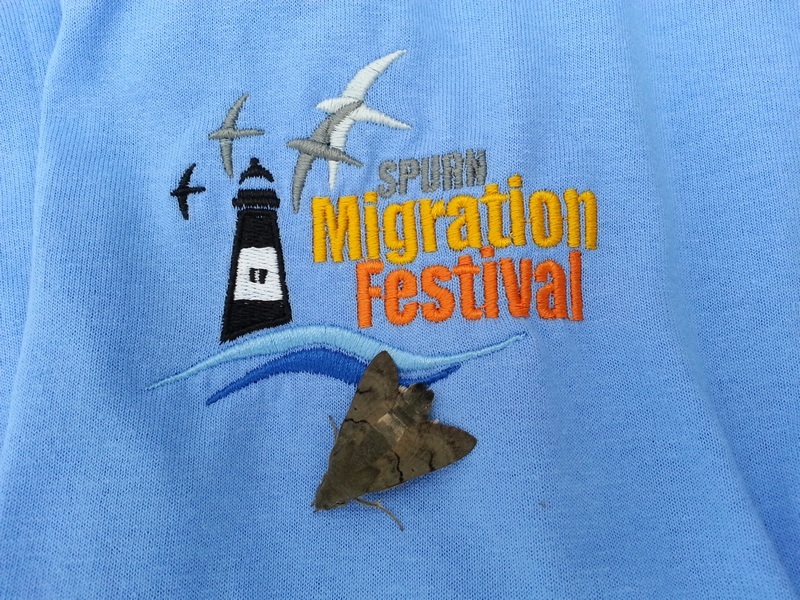 We are also grateful for excellent and constructive feedback as we look ahead to planning and organising the Spurn Migration Festival, 2014, to make it even better. For people attending the migration festival at Spurn and finding accommodation difficult to find, camping will be available at Westmere Farm during the weekend. This can only be booked through Westmere Farm, contact details are below with some other options for accommodation. There are many more B&B’s and static caravan sites between Easington and Withernsea and Patrington within 10 miles distance from Spurn. Tickets only available from the central booking of the Yorkshire Wildlife Trust. Bird Migration is one of the great wonders of the natural world and the Spurn Peninsula, on Yorkshire’s East Coast is arguably the best place in Britain to witness this spectacle. 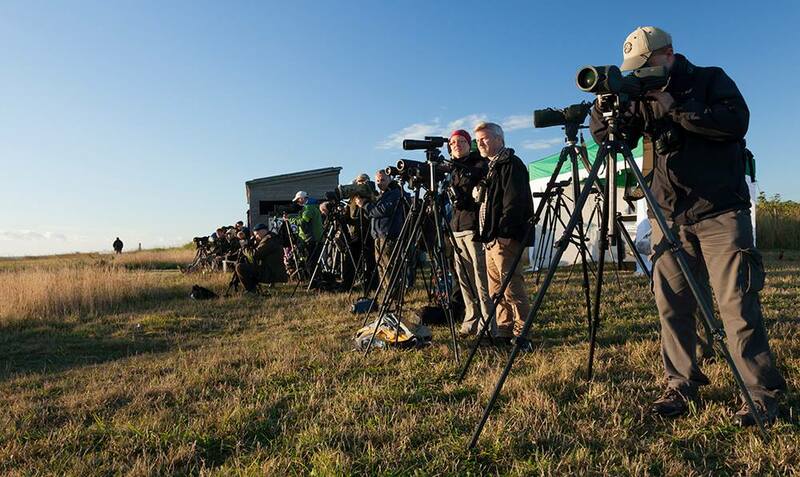 At the Spurn Migration Festival visitors will have the chance to enjoy a packed programme of guided migration watches, walks, talks, activities and events led by the expert staff and volunteers of the host organisations. There will also be a celebration of art in the Lighthouse, digi-scoping and photography workshops, demonstrations of bird ringing and a Saturday night Hog Roast. The event is hosted by Spurn Bird Observatory and Yorkshire Wildlife Trust in partnership with Birding Frontiers.